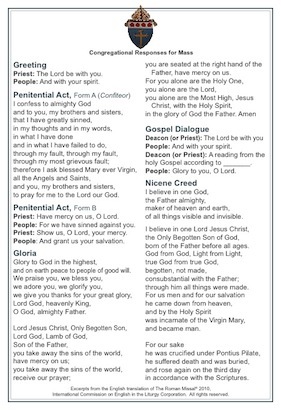 On the First Sunday of Advent, November 27, 2011, every Catholic parish will begin celebrating Mass using the new translation of the Roman Missal. 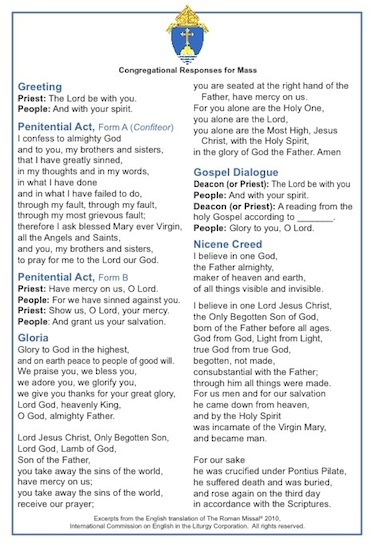 PilotPrinting, in cooperation with the Office of Worship and Spiritual Life of the Archdiocese of Boston, has prepared these attractive pew cards with all the parts that the people pray during the Mass as a great resources for parishes to aid congregations as we become familiar with the new responses at Mass. These pew cards are sized at 6.5″ x 9.5″ to fit easily at the end of your pews or as an insert in your current hymnal. You will see that the price is right! 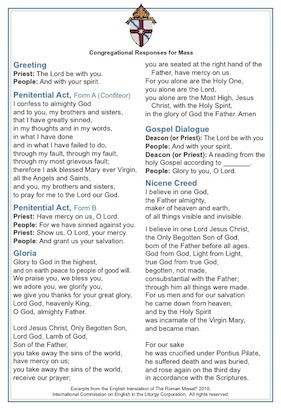 Compared with the prices of other similar products that have been advertised, choosing this pew card–customized for your diocese– from Pilot Printing will bring you significant savings. The Pew Cards are available customized for the Archdiocese of Boston, the Diocese of Fall River, and the Diocese of Worcester, in packages of 1,000. Please select your diocese and quantity, then click “Add to Cart”. You may complete your order from the subsequent page. Cost of shipping is included in the price. If you come back to this page after making your selection, please click the “View Cart” button at the bottom of this page.